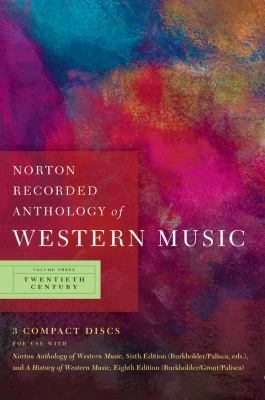 J. Peter Burkholder is the author of 'Norton Recorded Anthology of Western Music (Sixth Edition) (Vol. 3: Twentieth Century)', published 2009 under ISBN 9780393113112 and ISBN 0393113116. Loading marketplace prices 7 copies from $1.59 How does the rental process work?